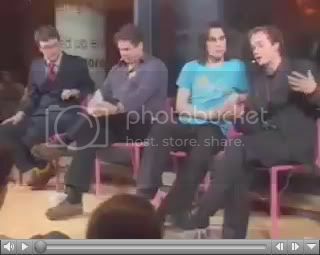 I’ve just been sent this footage from a debate on carbon trading and offsetting I took part in at the Cheat Neutral event at the Science Museum’s Dana Centre (video of the full event available at link, more on Cheat Neutral here). As will be obvious, this all took place in December, just prior to the Copenhagen conference. Eagle-eyed readers will also notice that I have created a new page on this website with full details of The Transition Timeline, pulling together the various online reviews etc, and including the means to buy signed copies. This is something I’ve been meaning to do for some time, but I was nudged into action by receiving the happy news that the book has been selling over a hundred copies a week thus far!